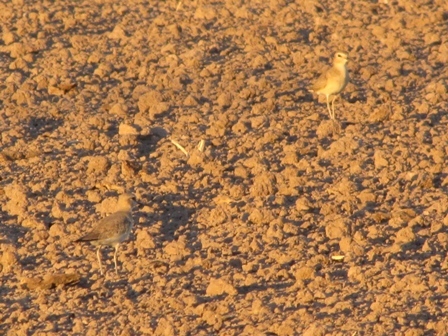 Mountain Plover, aka Prairie Ghosts, are one of the most sought after species here in the Imperial Valley. Over 5,000, a significant portion of their 20,000 or so world poulation, spend the winter here. Mountain Plover. Two! See why they are called Prairie Ghosts! They are very particular in habitat choices and these few photos illistrate one of those preferences. Mountain Plover (MOPL) nest on the high plains of North America and winter in open areas like ours. They prefer to run on the ground looking for insects. Mostly spiders in this particular field. 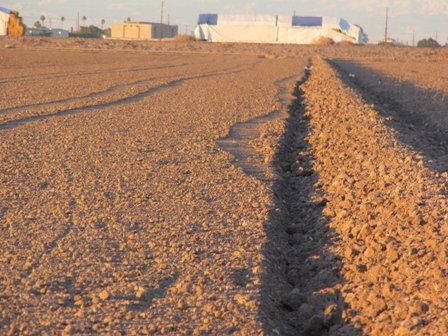 The size of the substrate, ie dirt clods in this case, determines their prefered feeding habitat. If it is too hard to move or run on then they will avoid an area that has the same food supply! The field on the left had several hundred MOPL while the field on the right had zero! If you were small and ran on the ground you would choose this side. 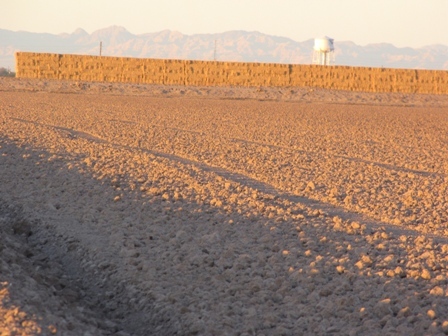 They also have a preference for freshly burned Bermuda grass fields. Perhaps they enjoy their crickets well done! 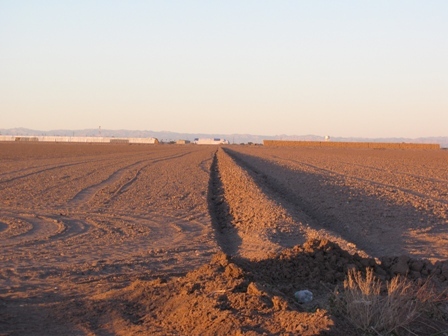 So this should give you a good idea what kind of fields you are searching for in you search for Imperial Valley’s Prairie Ghosts. See ya at the sea………………………….